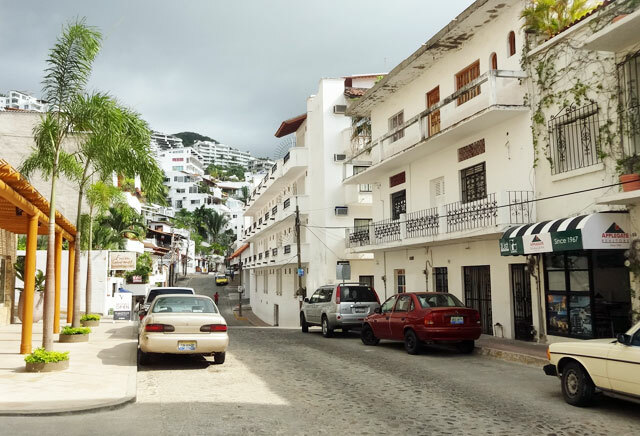 Can you visit Puerto Vallarta on a budget? With its top-notch resorts, restaurants, spas and hotels, tourist attractions, awesome sunny weather, and cool places to visit, Puerto Vallarta is a great vacation destination for folks with some cash to spend. But if your budget is smaller, can you make a cheap Puerto Vallarta trip work? Based on what I observed during my visit, it is absolutely possible to visit Puerto Vallarta on a budget! If you’re willing to make a few sacrifices for your low-cost vacation that is. Like with any popular destination, a big way to plan an affordable trip is to travel during the offseason. For Puerto Vallarta, this means the summer months of July through September. PV is most popular during the winter, when the freezing denizens of Canada and the northern U.S. states flock to the nice weather of the Mexican coasts. Temps rise in summer, with the warmest month being August, with an average temperature of about 93 degrees. That’s hot, but it’s not unbearable, especially since you’re likely to be spending a lot of time in the water and at the beach. Because fewer people visit in the summer, you can often find great deals on lodging and other necessities. Two of us stayed at the Hotel Posada de Roger for two weeknights, and with an advance purchase, we paid only $92 total (taxes included). That works out to $23 per night per person – almost as cheap as a hostel! Even at this modest hotel, there was an in-room air conditioner, a sweet courtyard, and a small rooftop pool. So you can definitely find decent accommodations at a great price. 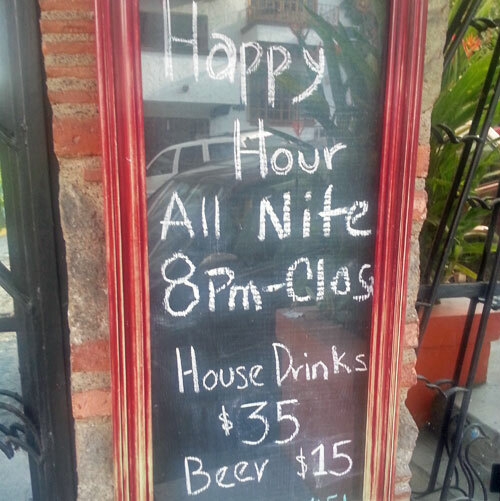 Puerto Vallarta has a number of other Posada de Roger-sized hotels, so do your homework and lock in a good deal when you find one. PRO TIP: From Mexico to Iceland, I’ve used booking.com to find the best hotel deals. You can read user reviews to make sure you’re getting a good place for a good price. They include hostels in their listings as well. Try the search box below for Puerto Vallarta. Hostels are always the budget traveler’s best friend. 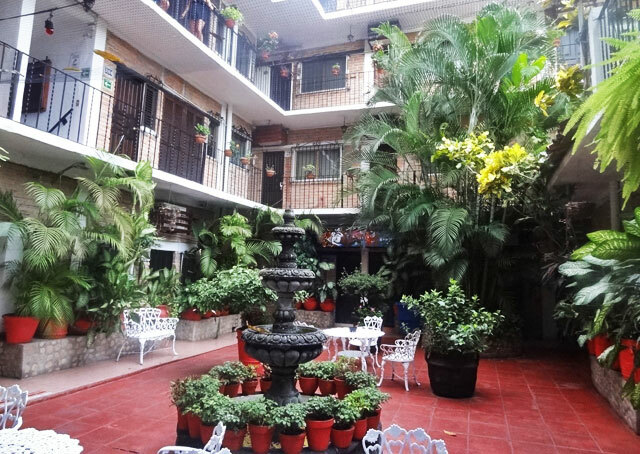 In Puerto Vallarta, hostel beds can go for under $15 USD a night during low season. You’ll be stuck in a dorm with other travelers, but at least your wallet will thank you. 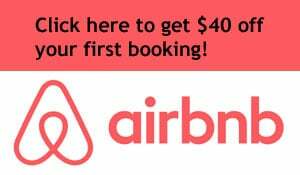 Don’t forget to consider AirBnb as a way to stay with local residents, although we found that many of the hotels were just as affordable as the PV AirBnb listings. 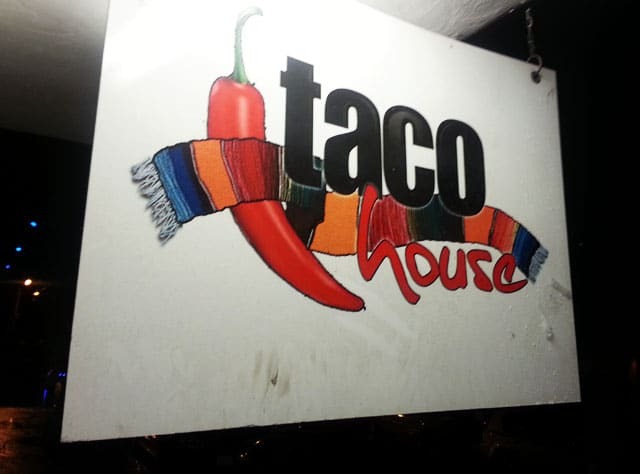 Backpacking in Puerto Vallarta is possible due to the number of cheap hostels and lodging options available! As noted a couple weeks ago, Puerto Vallarta has some excellent restaurants, and I recommend splurging to visit at least one or two of them. But if escargot quesadillas and grilled octopus aren’t in your budget, making smart dining choices is a great way to save money. RELATED READING: Things To Do in Mexico City: 85 Must See Attractions and Experiences for Tourists! By visiting street vendors and small local taquerias, you can get authentic, well-cooked meals for a very affordable price. 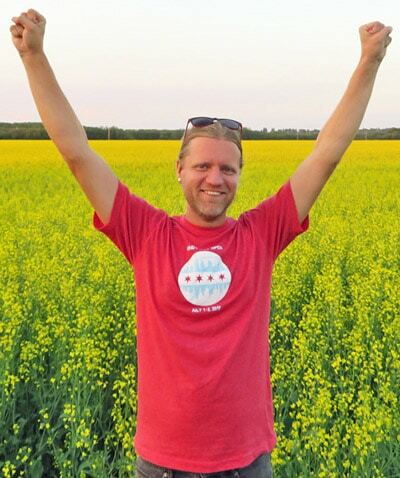 You should be able to score meals for a cost of $5 or less per eal. I also bought quite a bit of food (milk, cereal, fruit, ice cream) from the many local convenience stores around town. If you are so inclined, you could snack all day and then go out for one big meal at dinnertime. Folks who don’t want to eat Mexican food for every meal can find a handful of familiar American fast food joints, like KFC, McDonald’s, and Subway. I’m obviously not recommending eating fast food for every meal, but it can come in handy when cost is a concern. One evening when I was starving and needed a quick calorie burst between activities, I happily gorged on a Subway Italian BMT for just a few bucks. Taxis are easy to find and are fairly affordable. I took one from the Romantic Zone all the way to the airport for around $13 USD. To save even more, hop on a local bus, which costs less than 10 pesos (under a dollar) and will take you downtown or near most hotels. Car rentals are available, but I’d advise against that. You never know the quality of the vehicle, and drivers here are a little more wild than what you’re used to in Europe or America. As for tours and other touristy things to do in Puerto Vallarta, some tours aren’t offered during the summer, but other activities, such ziplining and ATV excursions, are offered at discount prices. So you may be able to find a very good deal on certain activities by visiting during the summer. You won’t have a tour guide, and you won’t have air conditioning, but if you can do without these amenities, you can have essentially the same experience at a fraction of the cost. 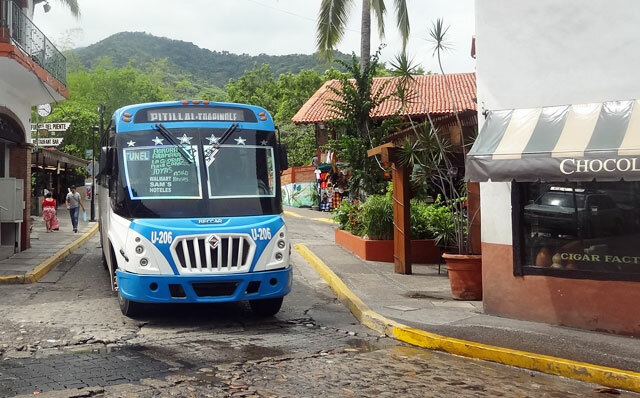 The same logic applies to day cruises and other outdoor activities in Banderas Bay – ask around and you may be able to get a water taxi to go to the same locations at a discount price. These are all great places to visit in Puerto Vallarta, and you can score some good savings if you put in the effort! Or just skip the tours and hang out at the beaches for free all day! Some of the beaches near the restaurants essentially “belong” to the restaurants, so you may be asked to buy a drink. Or head further away for one of the public family beaches. Walking the Malecon (boardwalk) and seeing the beaches, sculptures, and public artwork is another great free thing to do in Puerto Vallarta. The Naval History Museum is another cool cheap activity in PV. And we can’t forget about drinking, since that’s a popular tourist pastime in PV. Bars are less crowded in the summer and sometimes offer better specials to get customers in the door, so you can again save money by coming during the slower season. As for souvenirs, lots of trinkets can be found for cheap prices. Don’t be afraid to haggle, and look around for the best deals. 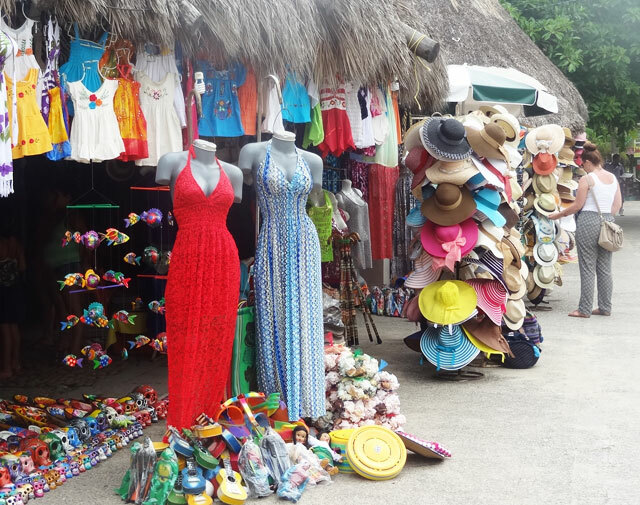 The Malecon (boardwalk) has the biggest number of tourist shops, but others can be found on Cuale River Island and around town. Do some comparison price shopping to score the best deal! There’s one thing I didn’t mention: Airfare. That’s always a variable, and if you’re planning a budget-friendly trip to Puerto Vallarta, you’ll simply have to keep your eye on sales and promotions. Whenever you see a cheap flight, that’s the time to book. Finding affordable airfare is the last piece of the puzzle to making a PV trip doable. Some may wonder why someone would want to visit Puerto Vallarta on a budget, but if funds are limited and you have a strong desire to see one of North America’s most beautiful vacation destinations, you can indeed make it happen. We’ve been there quite a few times and hoping to go again soon. Thanks for the info.